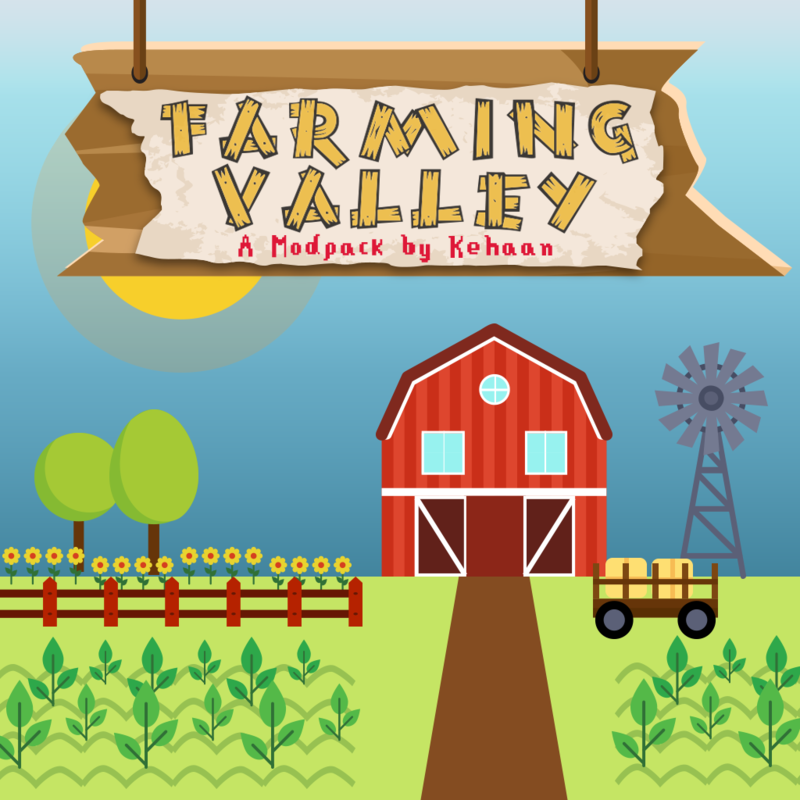 This modpack is centered around the genre of games that Stardew Valley and Harvest Moon are in. Basically, instead of the typical grind in MC, you here have to build and maintain a farm/small town in order to be able to progress. Your first goal will be to spawn in a Goddess, who will explain how to progress in the pack. Here you will slowly build up a small town, have huge farms, sell your crops, gain money and progress further. There are 4 seasons, each of which have special crops to buy, plant, and then harvest. A huge part of this pack is selling your goods, at local NPCs, to get money, that you can then use to progress either further with your village, or even buy parts from other mods to progress in those. In this pack, there are many parts, you can’t craft, instead you have to buy them with your hard earned money. This pack also features some small twists along the way, like hydration. You will also find an achievement book, that gives you some long-term goals. If you record/stream this pack, please leave a link back to this page and or my twitter. You should update it r. It takes for ever to load up the mod and it lags. I have encounter this issue "Error: net.minecraftforge.fml.common.LoaderExceptionModCrash: Caught exception from Decocraft (props)" when launching the game and I can't figure out why this mod (Decocraft) crash. Does anyone have any ideas on the reasons this mod crash? Can't play without this mod. "Caused by: java.lang.RuntimeException: com.mia.gson.JsonSyntaxException: com.mia.gson.stream.MalformedJsonException: Unterminated object at line 6913 column 9 path $.tileParams.VarRend_INVENTORY"
Is there a way to play this without all the mods? But using the main ones that are needed. I know it isn't really a magic based mod, but would it be possible to add cyclic to this? The harvester works with crop sticks. It's already in the pack. can it work on cracked minecraft? Please if someoue can help Tell me, Thanks. Can you add More player models mod(s)? I had the crafting guide when I went into my inventory, and all of a sudden it's gone. What? There seems to be a problem with your mod pack. After the Stone tool stage when I got my first copper hammer I used it until it needed to be repaired. I gave it to the blacksmith then after a day or 2 I went to collect it but then my inventory started freaking out with red 0's next to everything and when I try to move something it goes back to normal but it doesn't give me the item. I left it alone and did some other things but it happened again when I got the café building. The kitchen counter tops and other things I was going to get just disappeared the same way as before. Hope someone fixes this issue because I really love this mod pack. This modpack is amazing! I absolutely love it and is an inspiration for one a modpack I want to create. Whenever I seen this Mod Pack I thought to myself "WOW" I really love It, it looks amazing, I've seen it on YouTube as well.